What Do You Do After You Win a Prize? If you're entering sweepstakes, you're surely dreaming about the prizes you're going to win. But are you ready for them? This guide will walk you through the winning process, from finding out that you are a potential winner to making sure you're not being scammed to following all of the steps to claim your prize without being disqualified. Whether you're an old hand at entering sweepstakes or a newbie dreaming of their first prize, this guide will ensure that you are doing everything right when you win a prize. Most of the time, the winning process begins with a win notification, which is the official notice that you are a "potential winner." You will remain a potential winner until you have completed the prize claim process. Win notifications usually arrive by email, postal mail, registered mail, telephone, or social media. It's important to make sure that you check the contact methods you use on your sweepstakes entry forms regularly. It's devastating to miss a big win because you waited too long to check your email! You should also be sure that you don't make a mistake while filling out sweepstakes entry forms that will make it difficult or impossible for sponsors to contact you when you win. Double-check each form before you enter to make sure you didn't make a typo. Form-filling programs like LastPass or Roboform can help you avoid typing mistakes. Once you've safely received your win notification, it's time to go through it win a fine-toothed comb. There will be important information in it that you will need to follow carefully if you don't want to lose your prize. Sometimes, a win notification will tell you the prize is on its way, and you don't have to do anything else. Usually, however, you need to do something to claim it, and most of the time, there's a time limit. So be sure to go through the fine print of your notification to be sure that you know what you need to do and when to claim that sweet, sweet prize. Before you get too excited, it's a good idea to make sure that the win notification is legitimate, and not a sweepstakes scam. Once you've entered sweepstakes for a while, you'll to be able to weed out obvious scams quickly. However, some scammers are very sophisticated and can be difficult to spot. If you have any doubt that your notification might not indicate a real win, there are some solid steps to take to make sure your win is legit including calling your contact from a number that's publicly listed for the company sponsoring the giveaway and ensuring you aren't paying any money to receive your prize. Check out how to verify your sweepstakes prizes for more ideas. This is a good time to record your sweepstakes prize before you forget the details. Your win notification will usually include the information you'll want to track, including the sponsor's name, the sweepstakes name, what you've won, and the date that the prize is expected to arrive. Making sure you keep track of your prize wins makes tax time easier, but it also helps make sure that you don't let a prize slip through your fingers when it doesn't arrive on time. Many win notifications will include an affidavit that you'll be expected to fill out and return before you'll receive your prize. An affidavit verifies your information and gives the sponsor the information they'll need to fulfill their tax obligations. Read more about why sponsors need affidavits. Don't be surprised if the affidavit asks for your social security number - this is not a sign of a sweepstakes scam. Sponsors have legitimate reasons for requesting social security numbers, and there's nothing suspicious about them asking for one before they release a prize. Many times, sponsors will require that their winners have their affidavit notarized before it's returned to them. This helps them verify that your information is accurate and that you really are eligible to win the prize. If you're not familiar with notaries in your area, see where to find notaries for affidavits. You want to be very sure to return your affidavit by the deadline that the sponsor imposes. A delay could result in forfeiting your prize. 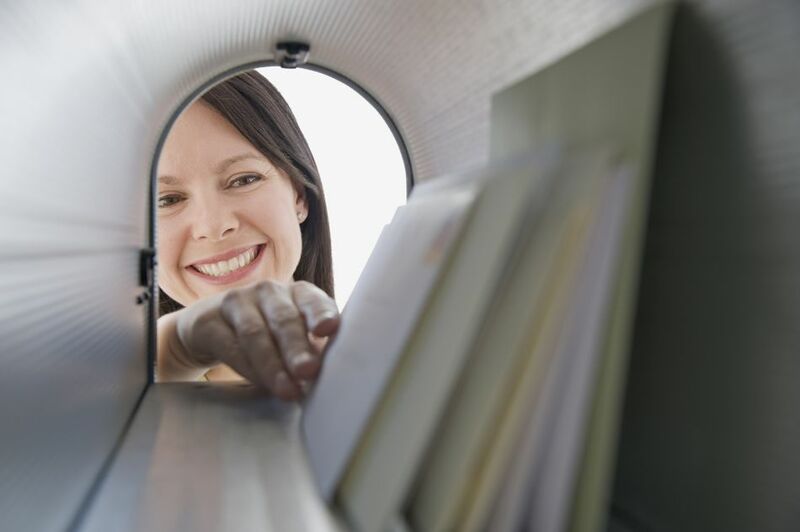 It's a good idea to send your affidavit by certified mail so that you have proof that you sent it on time. Sometimes, sponsors will also allow you to fax them a copy of the affidavit so that they have your information even if the letter is lost. Many sweepers have suffered a heartbreaking setback because they thought their affidavit was safely returned, but the sponsor never received it. It's a good idea to call or send the sponsors a letter or an email after a reasonable amount of time has passed to verify that the affidavit was actually received. If the sponsor doesn't hear back from you, they might assume you don't qualify or don't want the prize and award it to someone else. Once the prize has been awarded to another winner, you usually won't receive it regardless of the reason why the affidavit was lost. Sending the sponsor a thank-you letter telling them how much you appreciate the contest and how excited you are about winning is a nice courtesy. It makes the sponsors feel good, and it could encourage them to hold more sweepstakes or to go the extra mile fulfilling your prize. In her book, You Can't Win if You Don't Enter, Carolyn Wilman relates how a sponsor included a bunch of extra prizes with a win ​because Carolyn was so polite and so excited when she was notified of her prize. I've won some great prizes that I never received, and I never followed up on them because I wasn't paying enough attention. If you tracked your wins in a spreadsheet, you should have a basic idea when they are expected to arrive. Note that it's pretty common that prizes arrive well after their expected date. But if it's been a few weeks past the due date and the prize still hasn't shown up, contact the sponsor to follow up. There may be a mix-up with your prize, or it might be lost in the mail. Oftentimes, the sponsor can straighten out the problem, once they know about it. Remember how I said that the prize claim process usually begins with a win notification? There is an exception: surprizes, sweepstakes prizes that just show up in the mail without any previous notice (and sometimes without even an explanation of where they come from!). But remember, in the U.S., sponsors are required by law to declare any prizes they award to the IRS if those prizes are worth more than $600. To do so, they need an affidavit before they release the prize. So if you receive, for example, a large check in the mail, the chances are that it's not a sur-prize, but rather a sweepstakes check scam. If you live in the United States, the final step of your winning process, and the only one that you are required to do by law, is paying taxes on the prizes you've received. It might be disappointing, but U.S. law treats any prize win as income, so you're required to report everything you win. Unlike with gambling winnings, sponsors are not required to withhold any of your winnings. And remember that you are supposed to report all of your winnings. Don't fall for that old $600 sweepstakes myth, which often confuse people into thinking that they don't have to report prizes worth under $600. Sponsors are required to send tax forms for prizes worth $600 and more, but you are required to report your prizes regardless of their value. If you live outside the United States, check your local laws for information about whether you need to pay taxes on prizes and how you do it.